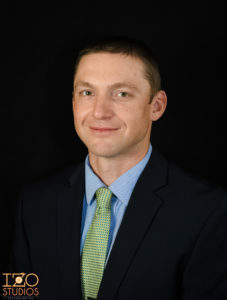 Dr. Klish earned a masters degree in public health at Yale University before completing his medical degree and residency training at the University of Kansas Medical Center. Dr. Klish also received training at M.D. Anderson Cancer Center in Houston, TX in the management of breast, lung, prostate, lymphoma, brain and gastrointestinal malignancies. Dr. Klish is a member of the American Society of Therapeutic Radiation Oncology and the American Society of Clinical Oncology. He has authored both basic and clinical science research articles and textbook chapters related to radiation therapy. In addition to clinical expertise, Dr. Klish understands how important it is to treat the whole person. He works with patients to address cultural, family and personal needs as it pertains to treatment. He partners with other care providers to help create a seamless care plan. 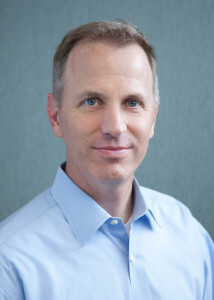 Dr. Klish enjoys spending time with his family, playing music, traveling, volunteering with Boy Scouts, playing tennis, running and gravel bike riding. Dr. Slane earned his medical degree at the University of Iowa. Prior to medical school he received a Masters’ Degree in Free Radical and Radiation Biology at the University of Iowa. Dr. Slane completed his residency in Radiation Oncology at the University of Arizona in Tucson, AZ. He practiced in Phoenix, AZ for four years prior to moving to Kansas. Dr. Slane has extensive training and experience treating tumors with stereotactic body radio- therapy (SBRT/SBR), stereotactic radiosurgery (SRS), intensity modulated radiotherapy (IMR T), 3D conformal radiotherapy, and hypo fraction- ated radiotherapy. Dr. Slane is a member of the American Society of Therapeutic Radiation Oncology. He has authored basic and clinical science research manuscripts and presented his work at national meetings.